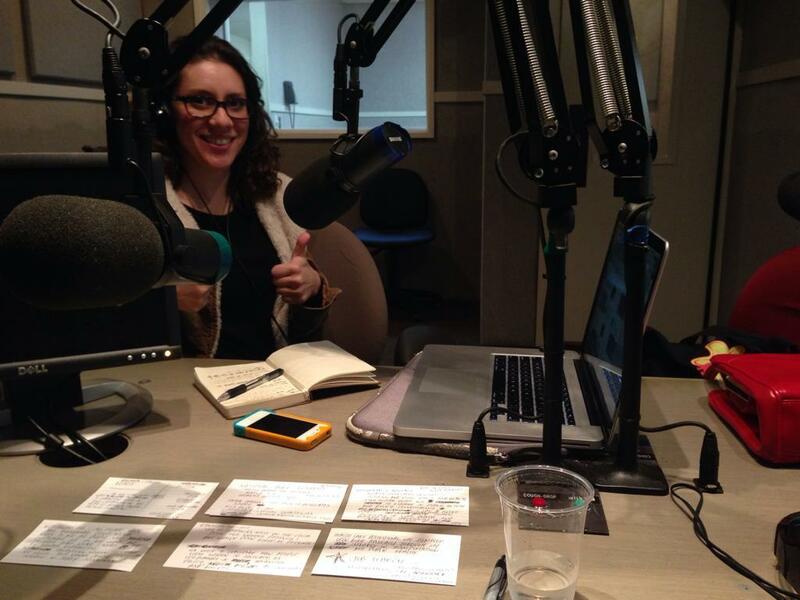 Daniella Alcedo co-hosts the #WomenTalkBikes’ radio show. Photo: Maria Sipin. Maria Sipin, a Golden Pedal Award winner in 2013 and supporter of Bike Week LA, nominated Daniella for the award. Thanks Maria! 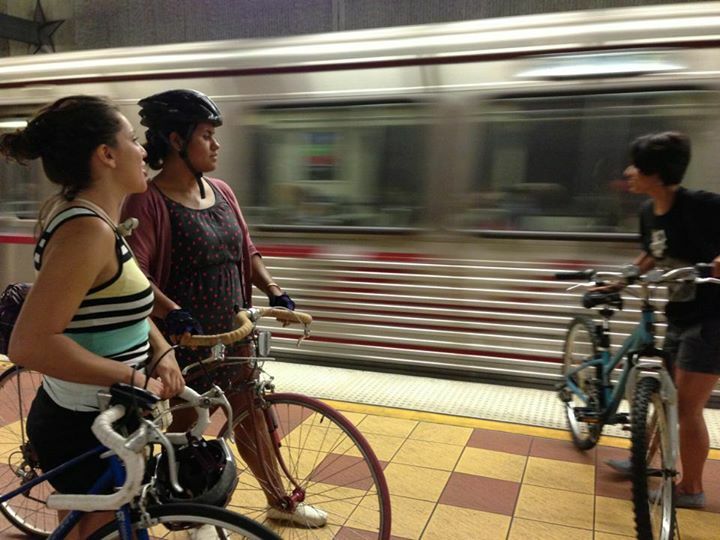 Daniella and friends at a Metro Rail platform on one of their bike rides in LA County. Although Daniella may not commute by bike daily, she serves those who do and gets others excited about volunteering for bike events. As the founder of the radio show #WomenTalkBikes, she elevates the voices of women bicyclists, including those with commuter stories to share. With help from our generous Bike Week LA sponsors, Daniella will receive a Bike Week LA bag with a Nathan safety vest, patch kits, ankle straps, bike maps, Metro Bike Guides, and “Every Lane is a Bike Lane” bumper stickers. “Every Stop Sign is a Stop Sign” bumper stickers will be nice too! No wonder people call this the People’s Republic of Kommiefornia. Been riding to LA from Redondo Beach for about a year through the traffic. The round trip is about 35 miles. Ever since my car was out of commission last year the Metro and the bike was the only other way to get to work. Now it has become a 4 or 5 day commute. It is as enjoyable as one can imagine even in LA traffic and now the car is almost completely out of the picture. I only recently started biking and have met some lovely people who showed me how to mount the bike on the bus racks, etc. I love that everyone is so friendly and understanding of novice riders.